My friend Judy is hosting over at The Mod Squad, and as soon as I saw her challenge I just knew I had to find sometime to play along. She has asked us to incorporate hearts and or flowers on our card and or project. 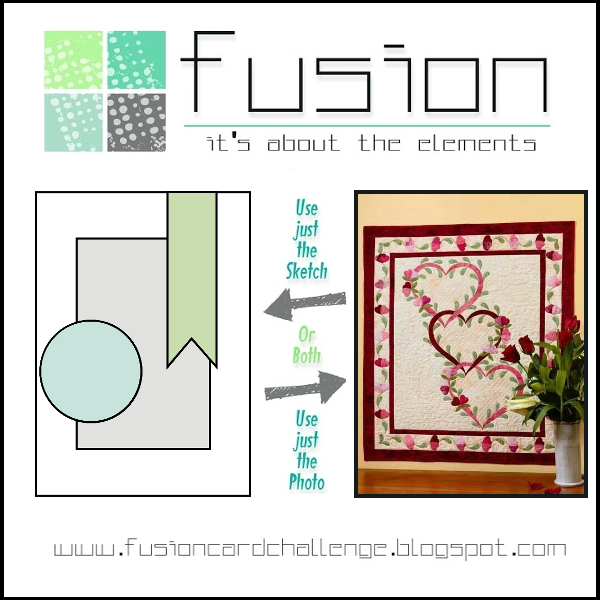 Then I went searching for a bit more inspiration and I came across this great quilt over at The Fusion Card Challenge. 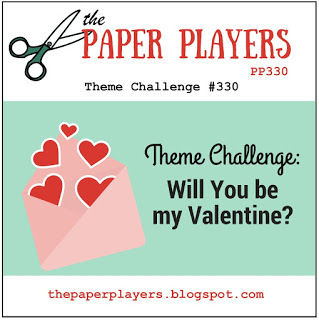 Finally, I also realized that The Paper Players was having a Valentine challenge and the search stopped there. I snuck into my craft room before the Football Game (that ended poorly…I might add…what can I say I always root for the under-dog) and in between loads of laundry on Sunday, this is what I did. I decided to take my MFT Stitched Heart dies and lay them over some of the hearts from the MFT Heart cover plate die. Then I incorporated some MFT Stitched flowers in my design. The sentiment is something I have had for quite a while and it’s from Inkadinkado. I thought this would make a nice Valentine’s day card. The Dp I used is a pack from Stampin Up that I really love! Categories: Cards | Tags: Card making, Cards, my favorite things, rubber stamps, stamping, wedding card | Permalink. Totally in love with your card, Nancy, it is FABULOUS!! Love love love the design and the papers you used! Have a great week! And sorry about the outcome on the super bowl for you!! What a gorgeous card you created. I love the cutout hearts with the pretty images peeking through. So pretty!! I love the cut out hearts and the patterns are so cute! Awesome design! It is such a beautiful card, Nancy! I love the pretty patterns on the hearts and they compliment the stitched hearts so well. The sentiment fits just too well! So lovely! Love this card. Great job putting the pretty stitched hearts over the hearts from the cover plate. Pretty flowers and papers too. I LOVE, LOVE, LOVE this. The patterned paper is gorgeous, and I really like how you have inserted the hearts to follow along with that amazing cover plate. This is just simply stunning, I love everything about it. Great take on the challenge, thanks so much for playing along with us this week over at Mod Squad. Judy~ Challenge Host and Your Friend…..lol. 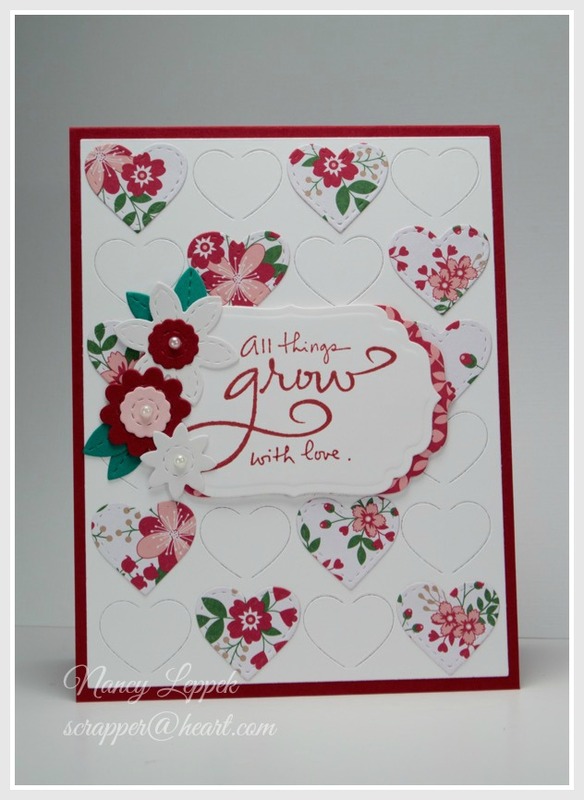 Such a pretty creation…the flowery hearts are just perfect, and I love that sentiment! Beautiful! Thanks for sharing this at the Paper Players this week! Wow, Nancy. This is fabulous. I love that DSP and the hearts fill in the coverplate beautifully.